Penfolds Grange is the flagship wine of the Australian winemaking giant Penfolds. Considered one of the premier wines grown and made in Australia today, Penfolds Grange has earned supporters around the world who eagerly await the much sought after wine every year. Founded in 1844 by Dr. Christopher Rawson and Mary Penfold, Penfold's winery is one of Australia's largest wine producers. The two moved to a stone cottage in South Australia, which quickly became known as the Grange, named after Mrs. Penfold's childhood home. Originally, Dr. and Mrs. Penfold produced fortified wines that he sold to select customers; however, word spread of the couple's wines, and their winery expanded. After an initial public offering in the 60s, the Penfold family retained control of the winery until the mid-1970s. Currently, after a series of mergers and acquisitions, Foster's Group owns the winery; however, many of the company's offerings pay homage to their roots by retaining names associated with members of the Penfold's family. For instance, the winery's Rawson's Retreat is named after Dr. Penfold, and Penfold's Grange is named after the stone cottage from the estate's early days. This wine is considered a luxury wine, and many critics consider Penfolds Grange to be one of the finest wines in the world. Made from spicy Shiraz grapes, Grange wines are usually powerful reds with flavors of concentrated dark fruits. 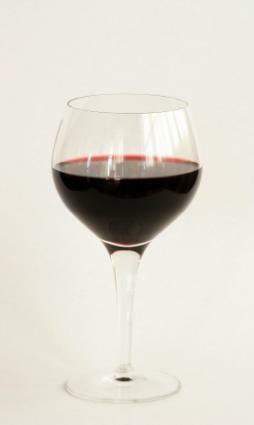 The winemakers may also blend in a small amount of Cabernet Sauvignon. With a backbone of solid tannins, this wine is meant to be aged for between 10 and 20 years, depending on the vintage. Once appropriately aged, the wine opens up with a bold spiciness and underlying layers of lush fruits. Penfolds winemaker, Max Schubert, began producing Penfolds Grange in 1951 utilizing winemaking techniques he had learned while visiting the Bordeaux region of France. Since its first submission to a wine competition in 1960, Penfolds Grange has earned more than 50 gold medals, and wine critics with a preference for the Old World wines of France and Italy have almost universally hailed the New World wine as one of the finest examples of Australian winemaking. Many major wine retailers carry Penfold's Grange from various vintages. At well over $250 per bottle with some collectible earlier vintages approaching $2,000, Penfold's Grange isn't cheap. If you can buy a bottle as soon as it comes out, you will be more likely to pay a lower price; however, as the wines age and approach readiness to drink, they become more expensive. Many wine auction sites, such as WineBid may have relative bargains over retail prices. If you purchase Grange in the year it is issued, expect to not drink it for as many as 20 years. A locator site, such as Wine-Searcher can help you locate retailers in the United States and abroad that currently sell Penfolds Grange. While Grange is Penfolds' ultra-premium wine, the company makes many other highly regarded wines. Yattarna: In 1996, Penfolds set out to create a Chardonnay that was on the same level of quality and rarity as Grange. Yattarna is the result. Bin 707: This intensely flavored red is Penfolds' entree into the luxury Cabernet Sauvignon market. RWT: The initials stand for Red Winemaking Trial. Combining Shiraz with French oak, winemakers at Penfolds have created a world-class Shiraz that is widely heralded by wine critics and wine lovers. St. Henri: A blend of Shiraz with a small amount of Cabernet Sauvignon, the wine is not aged in new oak and often has fruitier, less toasty flavors than Grange. Rawson's Retreat: These wines are designed to be immediate drinkers that don't require aging to be delicious. Rawson's Retreat wines come in multiple varietals. Koonuga Hill: These wines are meant to be affordable, but high in quality. The wine comes in multiple varietals. Fortified wines: Penfolds remains true to its early history of making fortified wines, offering three Port-style stickies that range from the tasty and affordable Club to the sublime Great Grandfather rare tawny. While all the wines from Penfolds are very good, Grange is a truly spectacular wine that stands up well against some of the world's greatest wines. If you ever have a chance to purchase or drink a glass of Grange that has come into its own, don't hesitate and enjoy the experience.